The Integrated Pipeline Measuring Stations (IPMS) are designed for measurement of crude, and oil products typically on wellheads, gas-oil separation, process control, blending, pipeline, storage and transportation inclusive custody transfer. 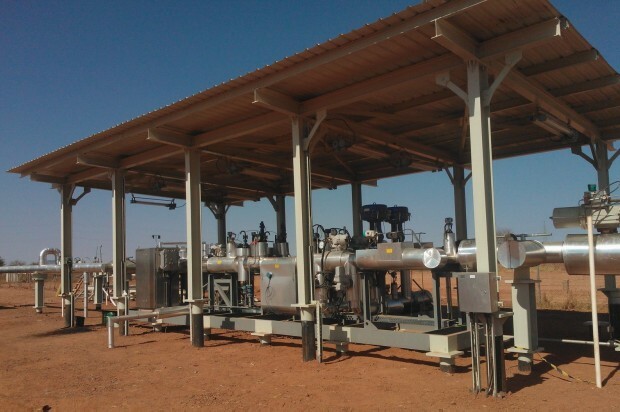 Application to application, working ranges vary from hundreds of litres to thousands of cubic meters per hour and working pressure from near-to-zero to several hundred bar. The IPMS comes fully assembled on an auxiliary frame (skid). The robust construction guarantees mechanical stability and equipment protection. The skids can be handled with a crane or fork-lift, and transported inside 20 or 40ft open-top ISO containers. Standard skids are "Seaworthy packed" ready for transportation. The IPMS can be a single or multi-stream design. For mission-critical applications, IPMS is designed to run in totally redundant operations (i.e. Master/Slave) . Heating and insulation, filtering, air separating with pressure reduction equipment are available optionally, as well as automatic sampling, with water cut monitor and divert valve to protect the pipeline against delivery of “contaminated oil”. For calibration, the IPMS are already equipped with valve assemblies and accessories. Double block and bleed designs to ensure that all product that passed through the meter will also pass through the prover. The outlets are equipped with dust caps or blind flanges to prevent 'leakage' or 'theft'. On request, the skids are equipped with shut-off valves, insulation valves and back-pressure or flow control valves. All valves, except for small bore used for instrumentation and service, are equipped with positioning sensors to indicate their status to the control system. On request, the valves can be equipped with electric or pneumatic drives for fully automated switch-over or calibration. The skids are designed according to the API Manual of Petroleum Measurements Standards. Flow meters, the key elements, are of following types: Coriolis (mass), PD (Positive-Displacement), Turbine, Helical Turbine and Ultrasonic. The skids are complete fully equipped with electronic instruments, junction boxes, and flow computers, pre-wired and tested. We usually provide also remote equipment such as electrical cabinets with power supply modules, uninterruptible power supplies (UPS), surge protection, fuses, data network devices, Programmable Logic Controllers (PLC) or Remote Terminal Units (RTU), and PC based workstations with a SCADA system. Significant attention to ergonomic design, ease of use/maintenance with intuitive and safe operation. This includes features like easy access to the equipment, identification / marking of system, pressure release, leak control and weather protection.. Complete tests (FAT) are performed before dispatch of the equipment. Presence of customer or independent authorities/witness is welcome. We provide complete system implementation from initial design approvals to supervision, start-up, and commissioning. The local control system has nearly always an interface for integration into higher level information systems. 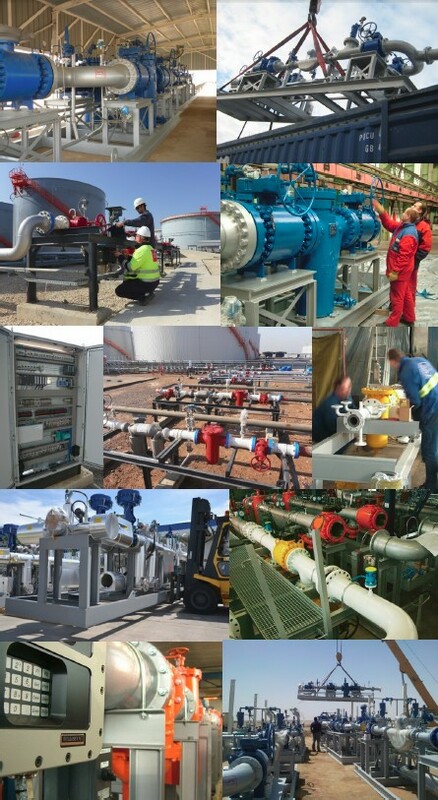 As a unique supplier, VAE provide a turnkey solution – from the basic design to site commissioning including delivery of control and administration system and/or integration into existing systems. If possible, we establish remote service lines for diagnostics and hot-line services, which offers the end user the best in class 'Life Cycle' investment.